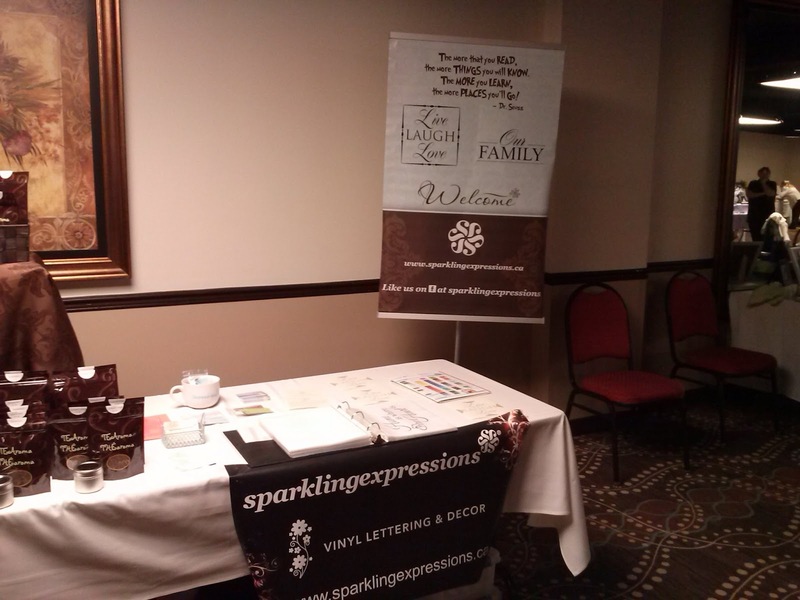 sparklingexpressions attended the Your Wedding Show, held at the Travelodge in Ottawa today and we would like to take the time to thank everyone who came out to take a look and browse around to see what all the amazing vendors had on hand. It was a beautiful day and the weather was great, and the Tea was steeping. 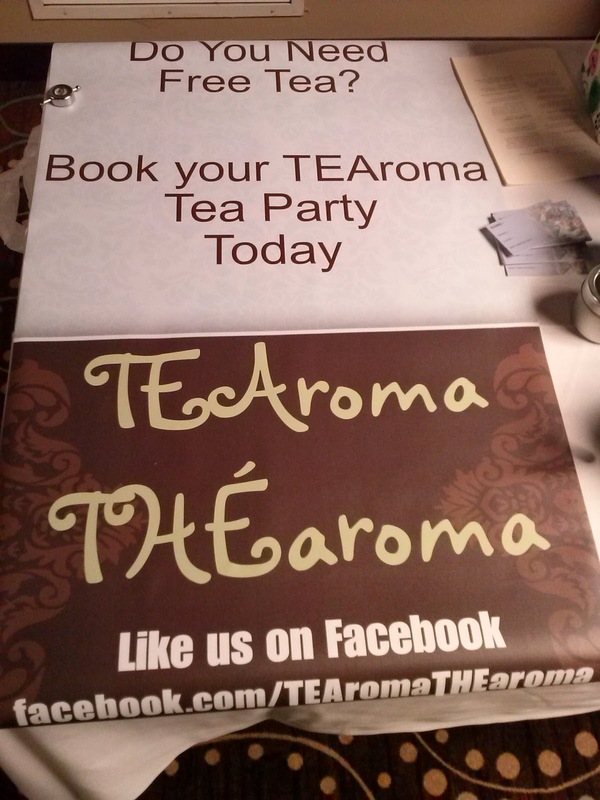 Yes the Tea, as we were quite happy to share a double table with TEAroma ~ THÉaroma. Quite handy seeing we had a delicious tasting refreshments so close to us all day. 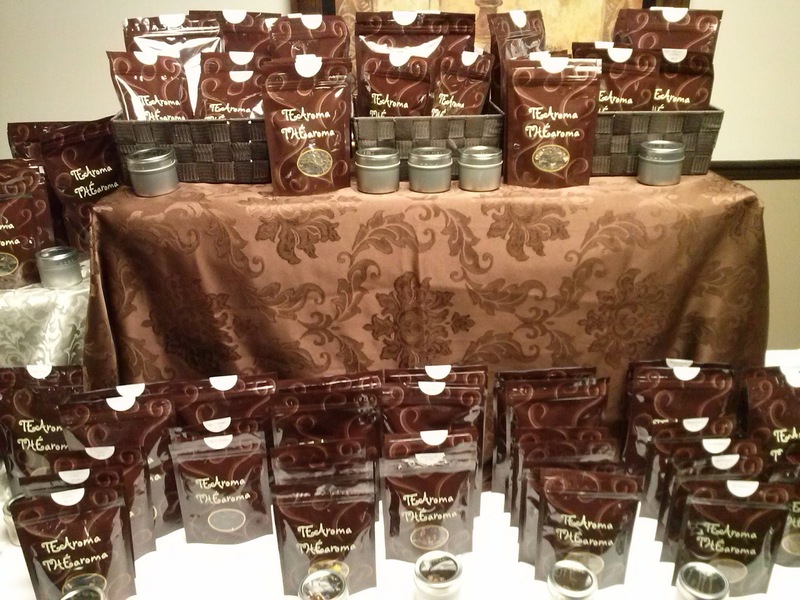 TEAroma, a Quebec based tea company, pours samples of their loose tea's for everyone who comes out to the vendor events that they take part in, and on today's menu was chocola-tea mint. mmmm yummy! The turnout and support was good and we were quite happy to have had the opportunity to meet so many new people and to share the vinyl world with everyone. 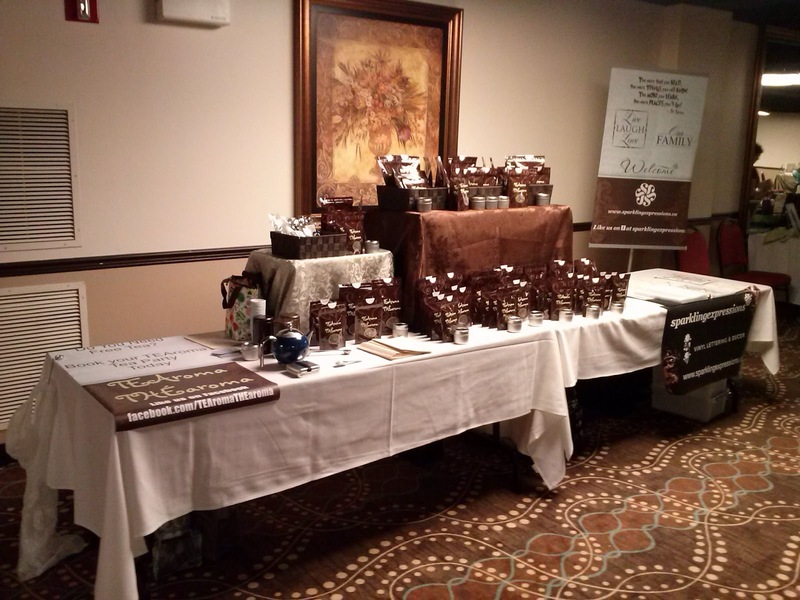 So if you happen to be looking to spruce up a room, or perhaps looking to enhance a craft or two, feel free to contact us and see what we can do for you. 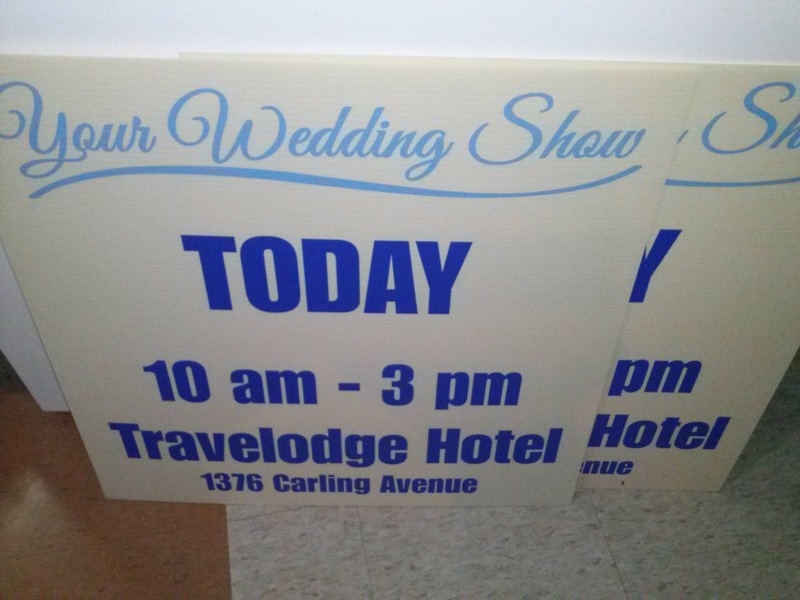 Pictured above is an economical 23" x 24" sign that can easily be placed anywhere to help promote your events or business. 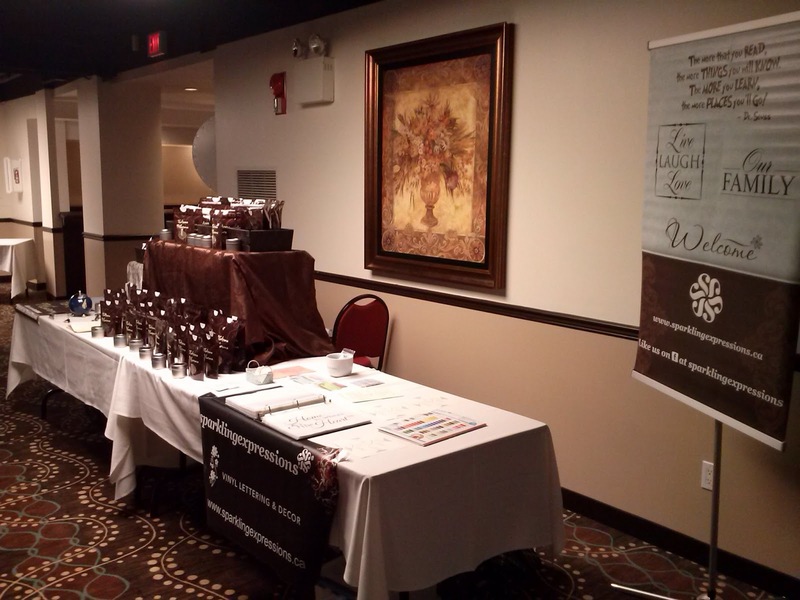 Feel free to contact us to see how we can help you in promoting your event or business. 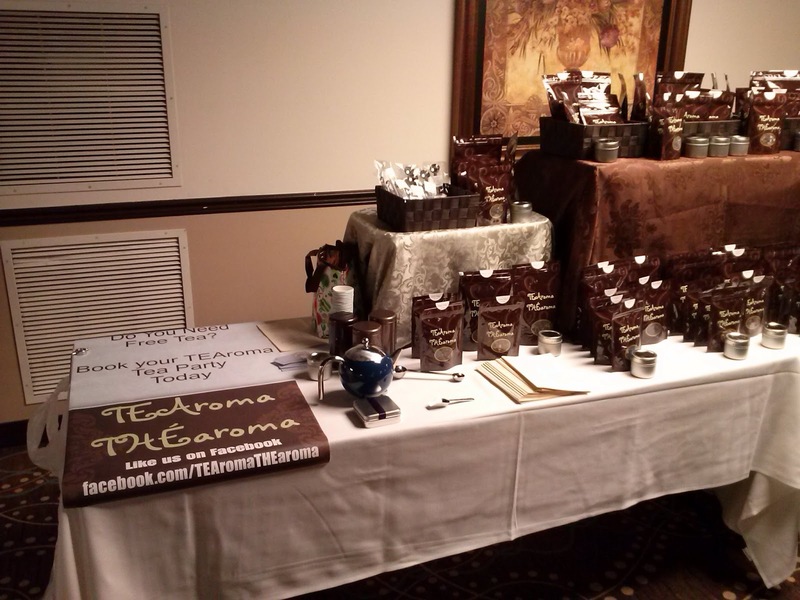 The following photographs are of the shared tables that sparklingexpressions and TEAroma ~ THÉaroma shared. The Travelodge has some very nice rooms for events.